New York American Staffordshire Terrier Rescue View other American Staffordshire Terriers for adoption. Champ is a great dog, but needs an experienced owner. He is a high energy dog, so needs a high energy owner. 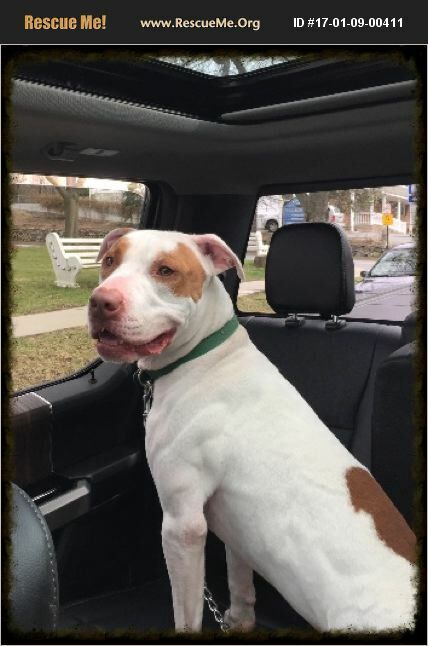 Champ LOVES car rides and often loves to have a nap in the car, loves going for walks and loves being with people. Remember he is high energy, but with the right person it's not a bad thing. He came to us when he was about 1 year. Originally found as a puppy he lived with a young girl who was about 19 and kept him crated most of the time. Not neutered or vaccinated, Champ was a handful. However considering he was crated out of convenience Champ was a product of his environment. Champ needs someone who is committed to training but someone who is an alpha. Champ was fortunate to be seen by Packleaders (one of the trainers that works with Ceasar Milan) and he said that Champ is a great dog, but that his adopter must be an alpha - period. He needs to be focused. Champ might be better off as the only dog. Champ has so much to offer the right person and he is a very, very smart dog. He knows who is committed to him and who isn't. If you are looking for a sweet boy, with a goofy personality who would love walks (hikes,) long car rides Champ is a great dog, BUT he needs to know his adopter will make the time commitment. If you are interested in CHAMP, please go to www.petestablished.com and fill out our online application. If you have any questions please email at goshenhumanesociety@gmail.com.